1. 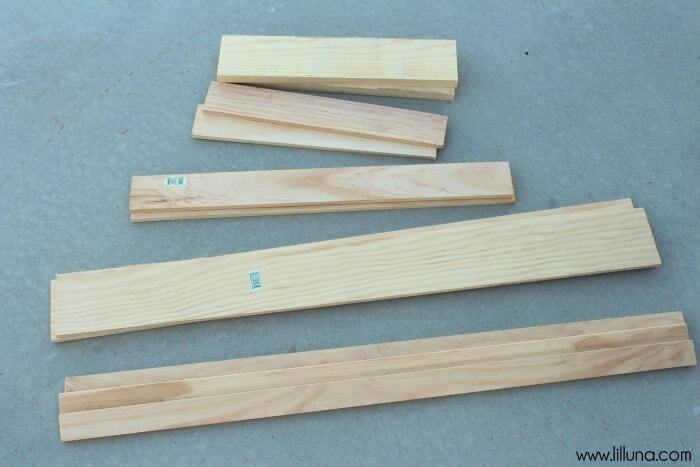 Cut your boards to the lengths and widths as described in the image. 2. 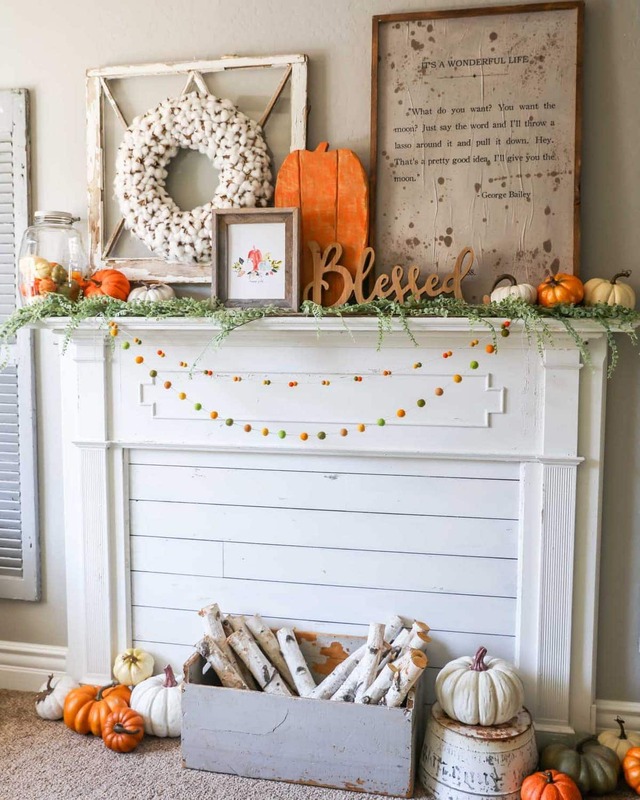 Build the outside frame by nailing and gluing the 3/8″ thick – 36″ x 4″ boards (for the sides) and the 3/4″ thick – 16″ x 4″ boards (for the top and bottom). Sandwich the 3/4″ thick board between the two 36″ boards at the top and bottom and attach *SEE NOTE BELOW* (we used the thicker boards for the top and bottom to provide more stability at the corners). 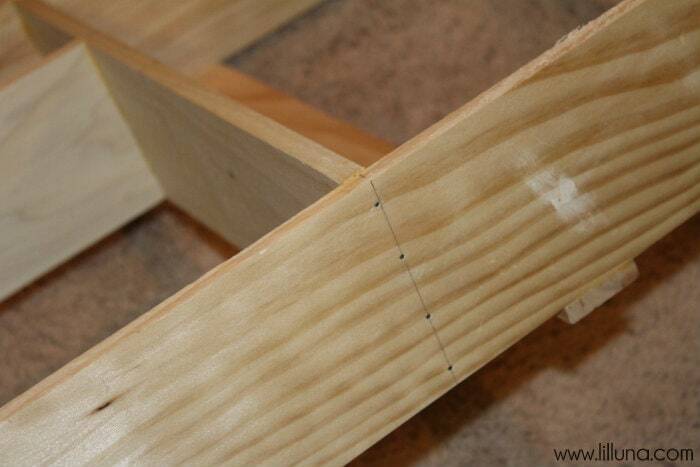 *NOTE: All joints were glued first and then nailed and clamped in place using Ten Penny Nails. 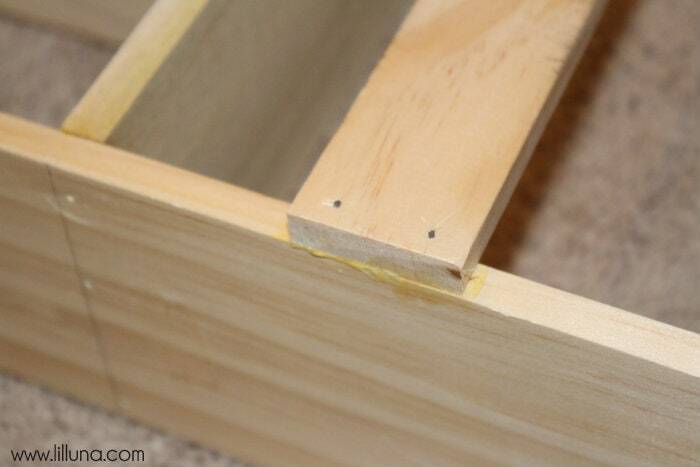 We used a Carpenter’s Square when gluing and clamping at each corner to make sure they were at 90 degrees. 3. 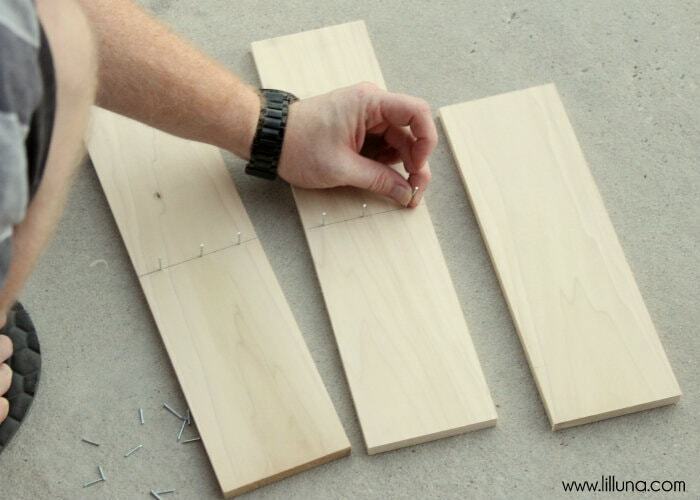 Create inner shelves and divider. This was done separately first and then inserted into the frame. 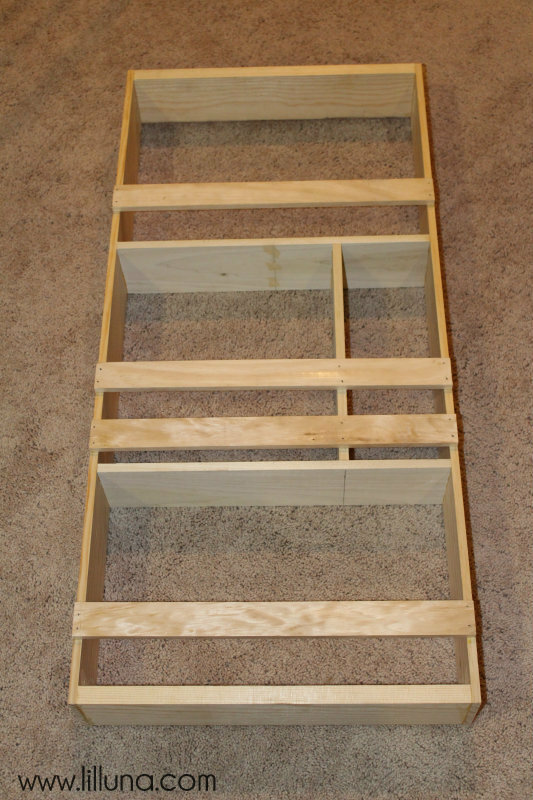 We used the TWO 3/8″ thick 4″ x 16″ pieces and attached the 3/8″ thick 4″ x 12 1/4″ piece to make this divider. We marked a spot on the 16″ pieces at 11 1/4″ spot and attached the 12 1/4″ piece there. This divider part holds the plates and cups. We nailed the divider shelf vertically in between the two side pieces. 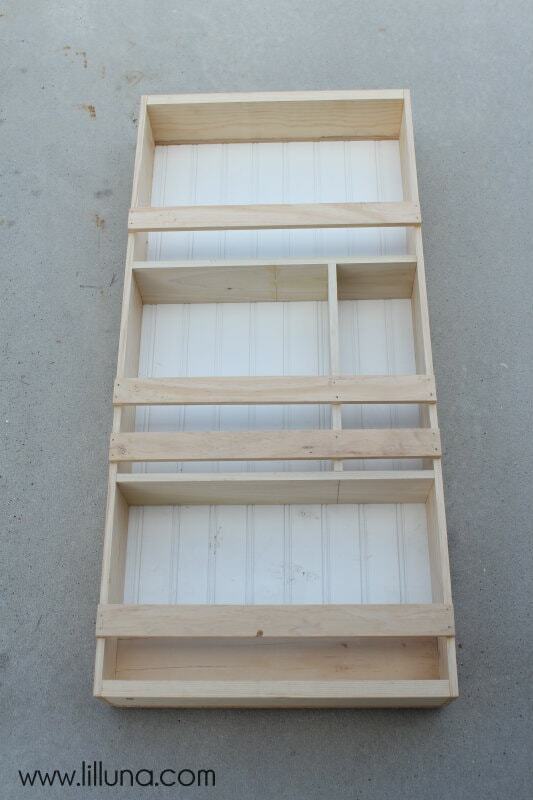 The bottom part of this divider shelf was placed 25 1/4″ from the bottom of the whole unit. Again, we attached by gluing, nailing and clamping in place, AND using a square to make sure it’s 90 degrees. 4. 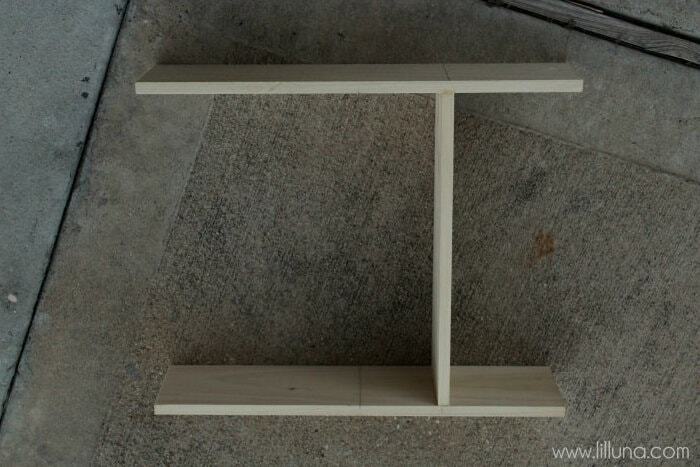 We then added retaining slats across the front of each section so the items on those shelves wouldn’t fall out. You can place these anywhere on the shelf. 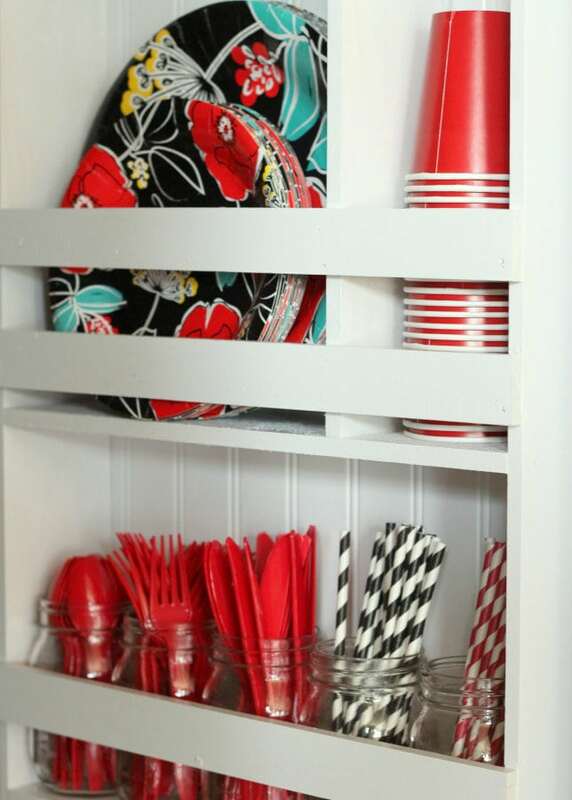 We added two slats on the shelf with the plates and cups to make sure those stayed in well. 5. 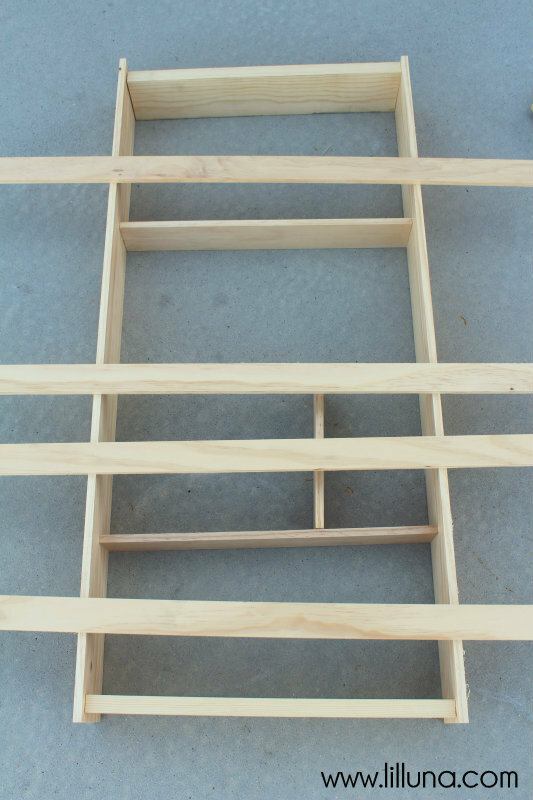 Then we cute a piece of beadboard that was 16 3/4″ x 36″ and nailed this to the back of the unit. 6. From there were spray painted it white and then added 2 layers of Spray Polyurethane and let it dry completely. The Pantry Organizer was nailed in place in the pantry, and I couldn’t be more happy with it!! 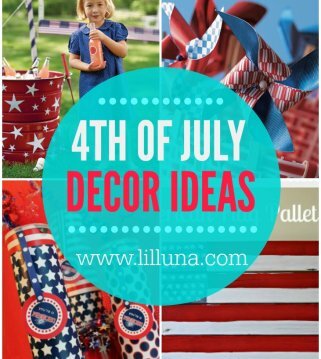 This was such a fun project to put together! 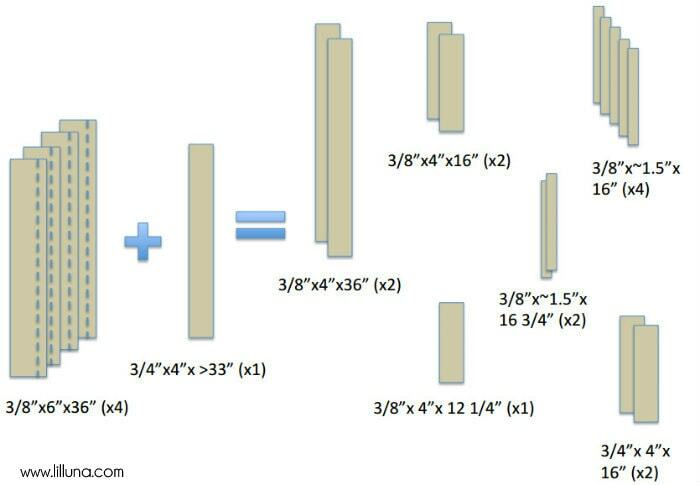 The hard part was figuring out the measurements, but if you want the same thing, then we’ve done them all for you! 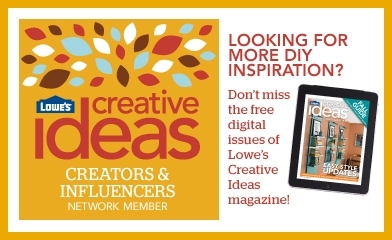 This is a sponsored post written by me on behalf of Lowes. All opinions are 100% mine. 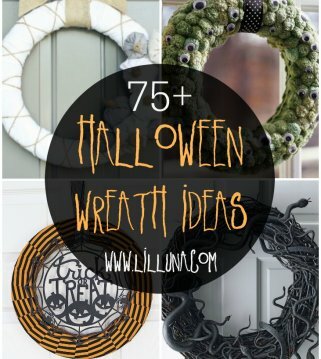 What an awesome tutorial and fun project! Isn’t it always the case that older children wait until the exact second you’ve sat down (to nurse, or any other reason!) to ask you for something? Love it. I love it! It’s so purdy to look at! 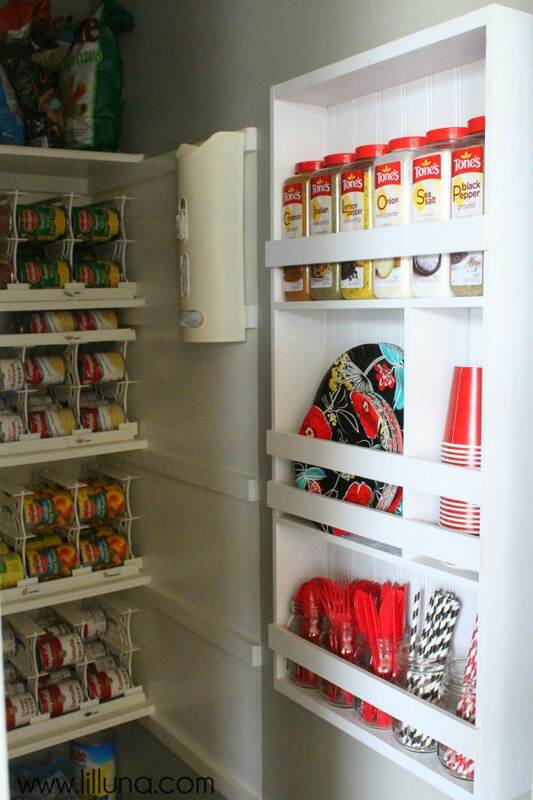 I’ve been looking for can organizers like you have in your pantry. What brand are those? 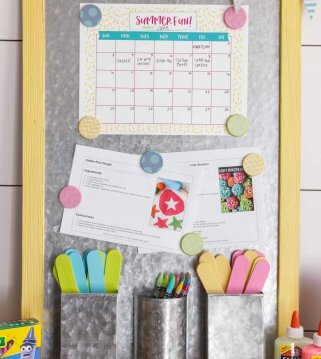 Pingback: Family Command Center, Slowing Down, DIY Pantry Organizer + more! 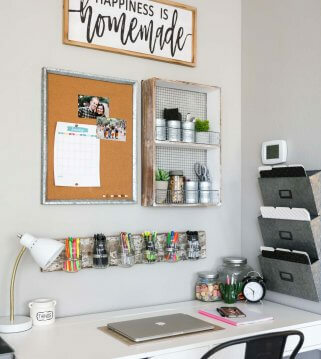 Please share where you got your can organizers. I love how organized that looks and they look to hold so much. Thx! Shelfreliance.com – I love them – helps organize SO much!! 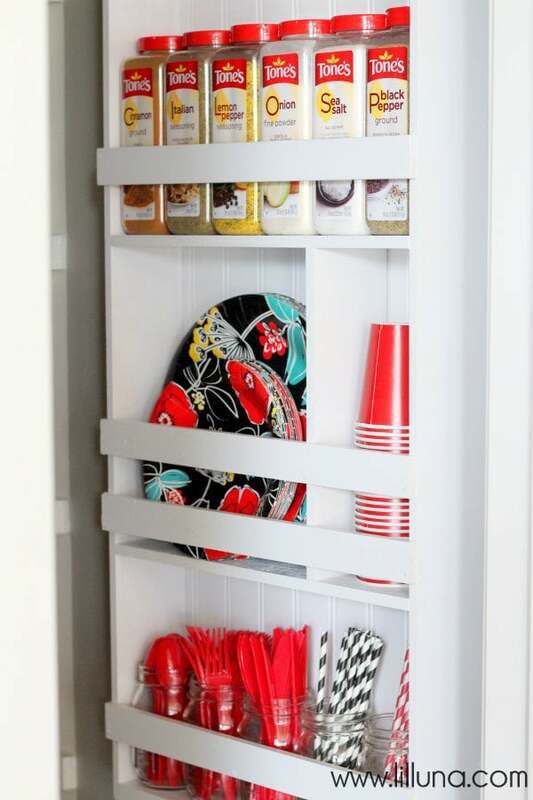 I’ve been looking for can organizers like that too for my TINY pantry here in CA. Please do tell where you found them! Thanks Kristyn! I got them from shelfreliance.com – they are the best!! 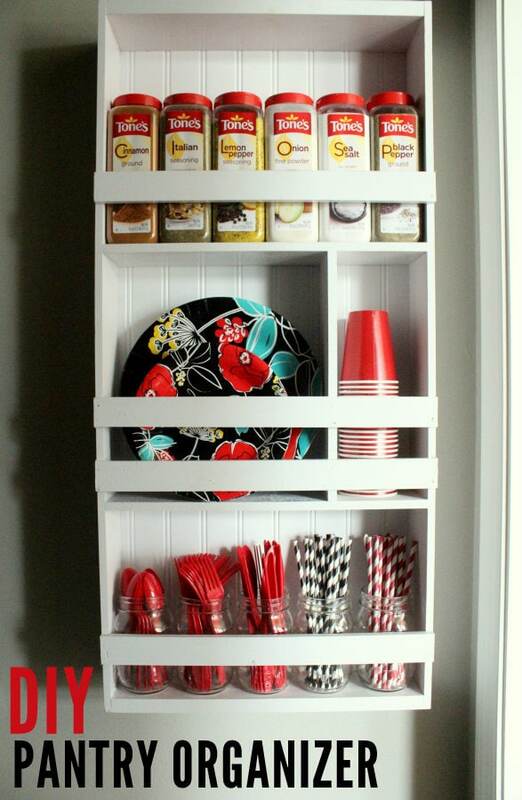 I am planning to install some shelves in my kitchen pantry for increasing storage space. Your pantry turned out beautiful. I would love to incorporate your tricks for my kitchen makeover. Please could you tell me about the holders in your pantry that stored all your canned goods. Nothing like that in the United Kingdom. They would be so useful. I’m not sure if the company ships world wide, but they are from: http://www.thrive.thrivelife.com/home Check ’em out! Thankyou so much for replying, I will scour websites in UK and if I have no luck will ask if the will ship. Hi! 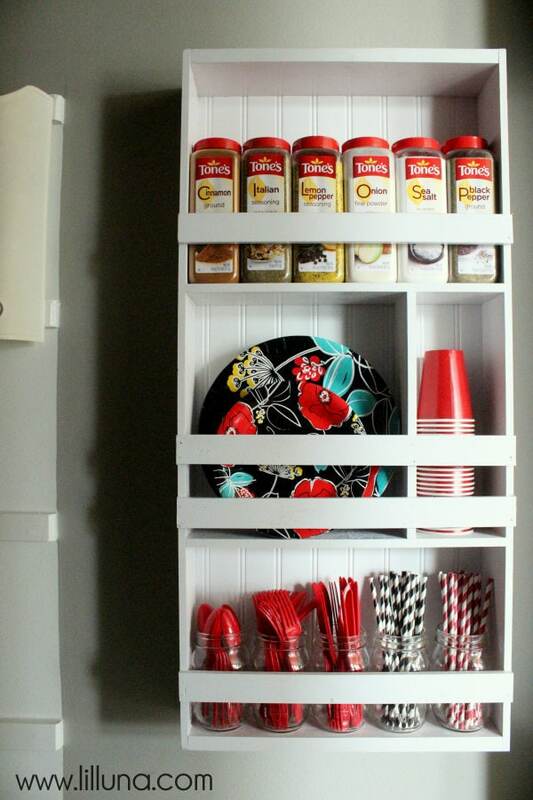 Love your spice/plate rack you built! I’m curious where you got the can holders on the shelves in your pantry? 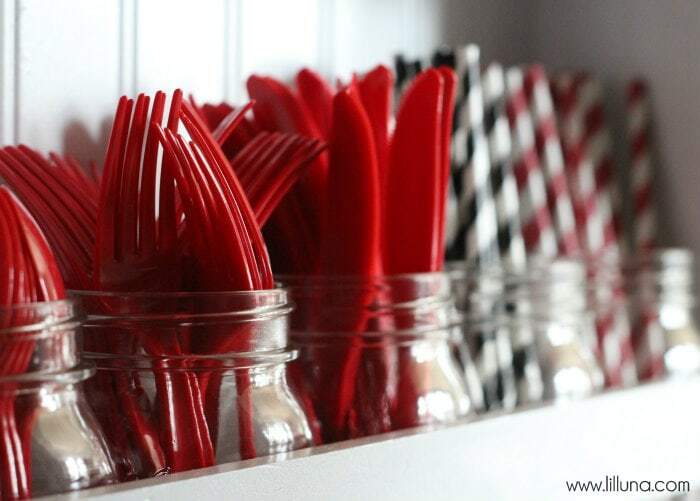 Would love to have some of these for my pantry!